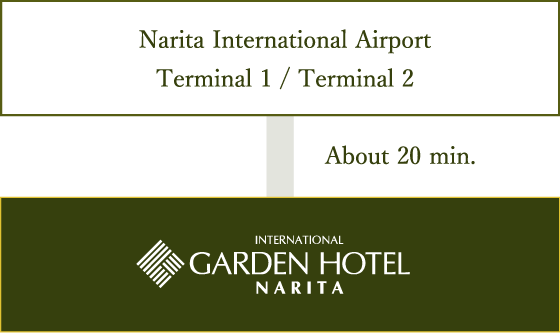 Narita is a comfortable and tranquil city with a interesting history. 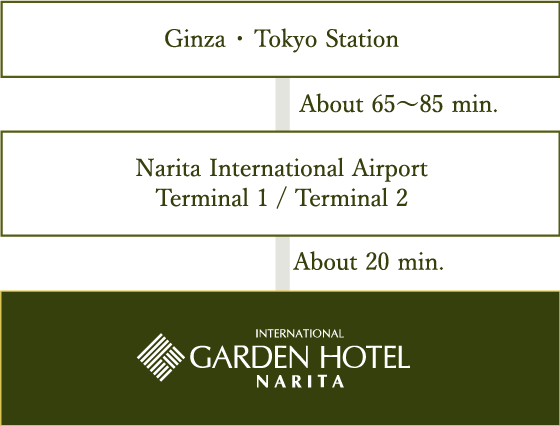 Conveniently located for sightseeing spots such as Naritasan Shinshoji temple and close to Narita International Airport. 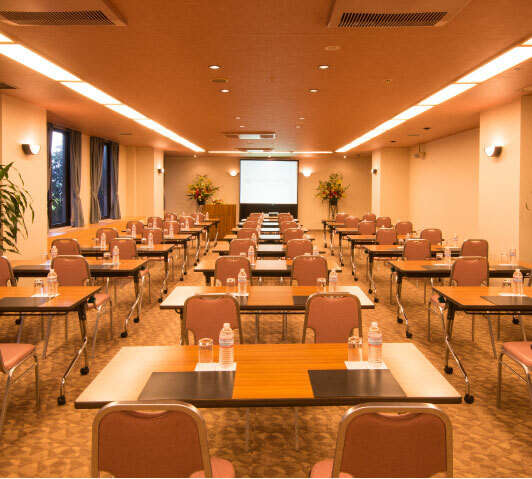 This is an ideal location for business meetings and accommodation before and after your flight. 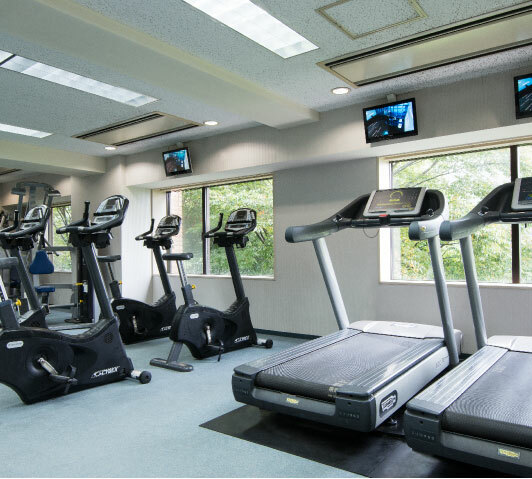 With 463 rooms including superior double and twin rooms the hotel has the largest rooms in the city at 28㎡. 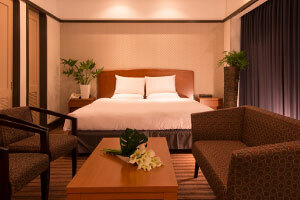 Our rooms are designed with a simple but elegant and contemporay modern theme. The rooms provide a generous space and feature soft tones for comfort and relaxation. 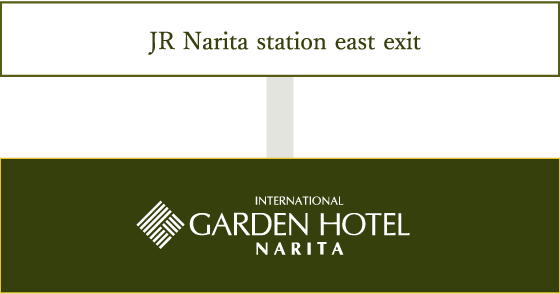 The International Garden Hotel Narita is located in a quiet part of the city amongst the　greenery and provides a tranquil and restful environment. Large windows and the view of the surrounding country side will entice you to relax and enjoy the local scenery. 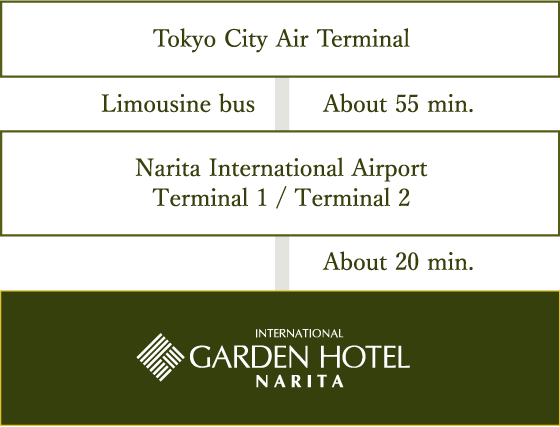 Close to Narita International Airport and Narita City the International Garden Hotel provides a regular shuttle bus service between the Hotel, the Airport, Narita Train Station and local shopping areas. 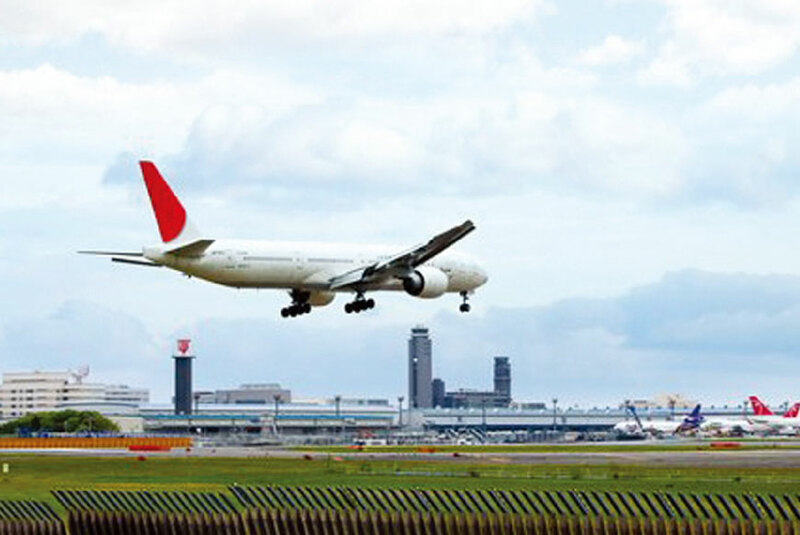 There is easy access to Tokyo for both sightseeing and business. 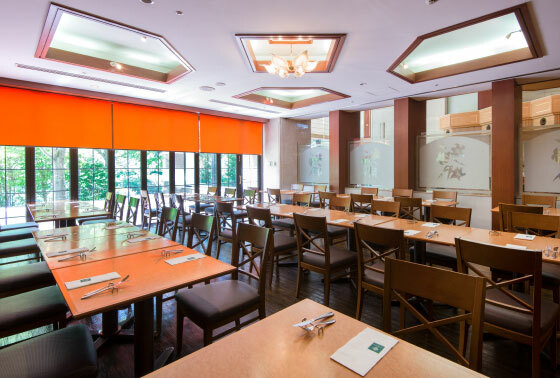 AVANTI offers breakfast, lunch and dinner in a casual style dining environment. Breakfast, Lunch and Dinner are served buffet style but you can also choose between your favourite Japanese and Western dishes from the restaurant menu. 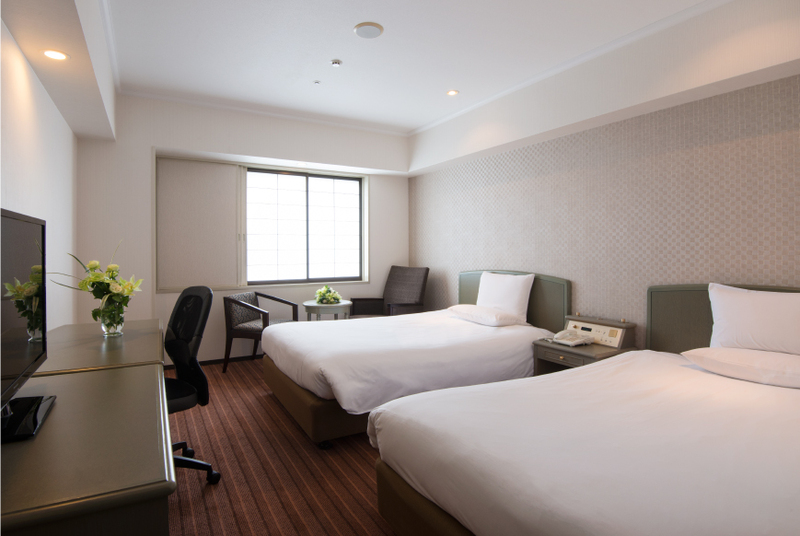 Guest rooms are surrounded by light and greenery providing a quiet space for relaxation. a quiet space before or after your flight or just to take a moment from your busy schedule. With a contemporary modern design and soft toned decor the room features a double bed with a duvet style cover, which is soft, light and excellent at holding warmth. Bright and light inside with modern design and soft toned decor this spacious guestroom is a comfortable space for you to relax in. 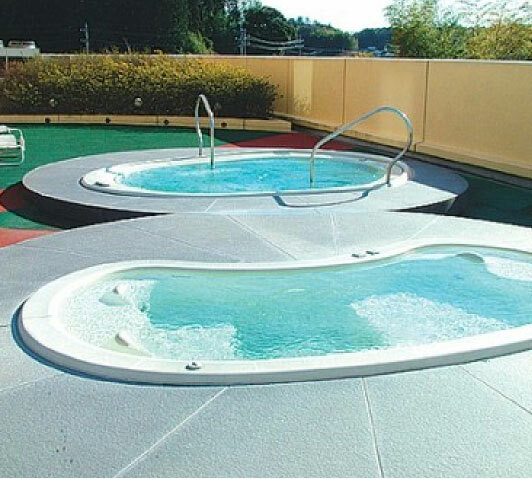 It can be used as a triple room with an extra bed. The beds feature duvet style covers, which are soft, light and excellent at holding warmth. 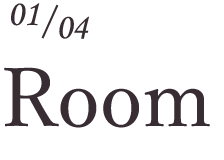 Located on the top floor (9th floor) these rooms provide a delightful panorama of the surrounding area. Contempory modern design combined with soft toned decor generates a relaxing environment to challenge the demands of travel and business. Duvet style covers feature in this room, which are soft, light and excellent at holding warmth. The Duvet style, which allays your fatigue and induces peaceful sleep with its soft, light and excellent at holding warmth, is adopted. Duvet is a French word meaning "down quilt". 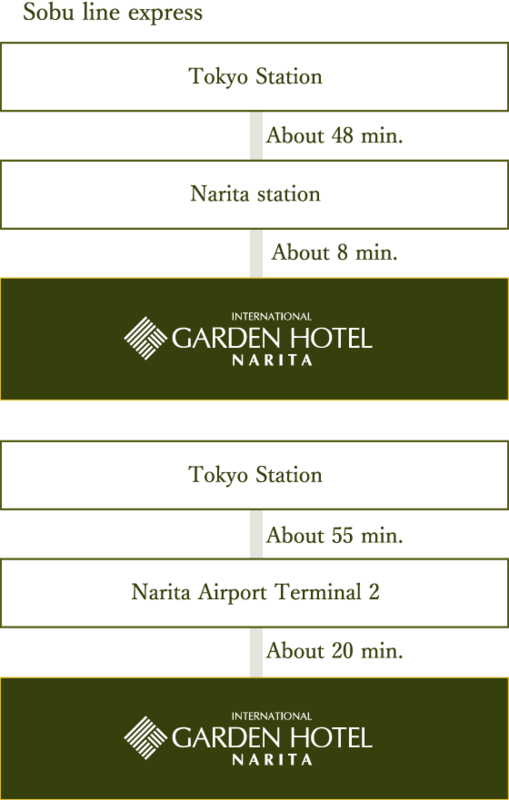 The bed with the duvet used is called "Duvet style" and used in all the rooms at the International Garden Hotel Narita. We hope you will be relaxed with your fatigue allayed in the soft duvet at the end of the day. You can enjoy various dishes using seasonal local ingredients in a relaxed atmosphere. is a casual style restaurant with a theme of "Italian". The dishes are served buffet styles and a la carte. A casual style restaurant with an "Italian" theme. AVANTI serves a wide range of dishes at reasonable prices. It is a casual style restaurant with an "Italian" theme. The dishes are served buffet style and a la carte. Breakfast is provided buffet style centering on Japanese and Western foods, or you can choose from a wide range of menu items. 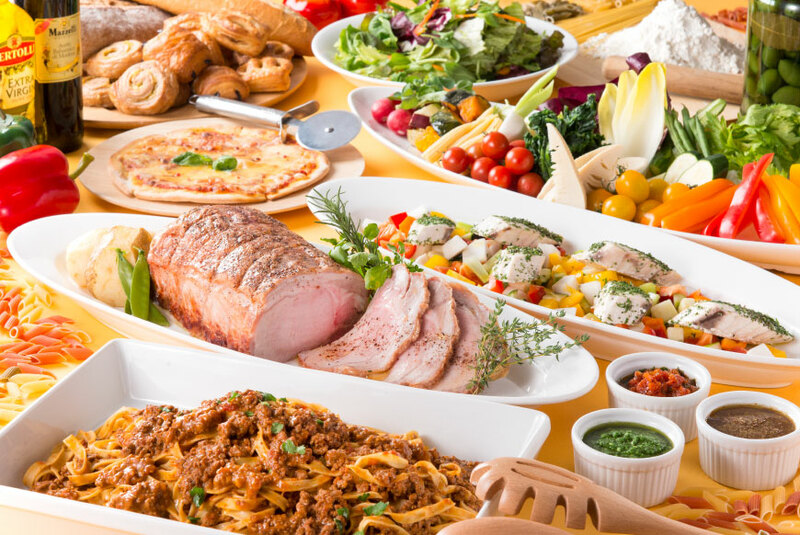 Lunch and dinner, Italian style foods are provided from appetizer, pasta, main dish to dessert, which you can enjoy this buffet style or select your favourites from the menu. The breakfast is provided buffet style featuring Japanese and Western foods, or your choice from our menu items. The buffet menu changes regularly, featuring dishes prepared with local seasonal ingredients. Restaurant menus are available on request. A comforting atmosphere that warmly and gently welcomes you. and relaxed world apart from your day to day demands. 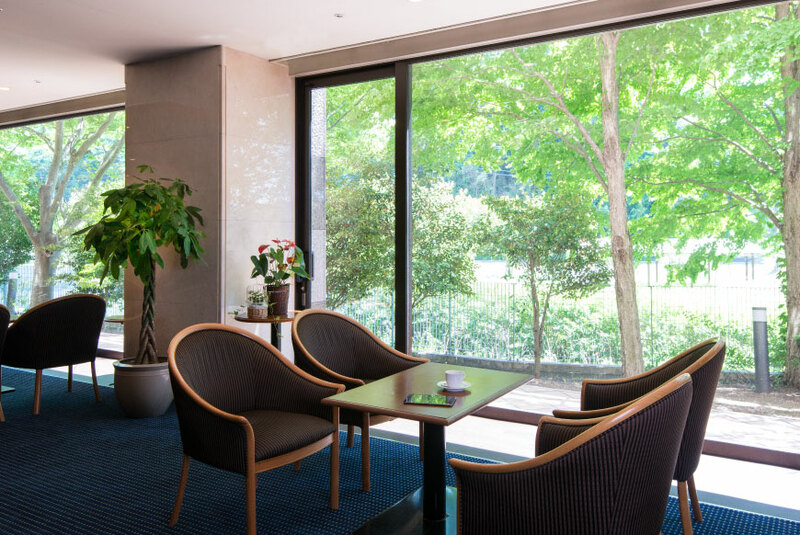 The view of the surrounding greenery gives a more relaxed and welcoming feel to your arrival. 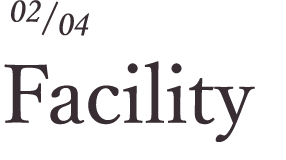 and meeting rooms at your convenience. 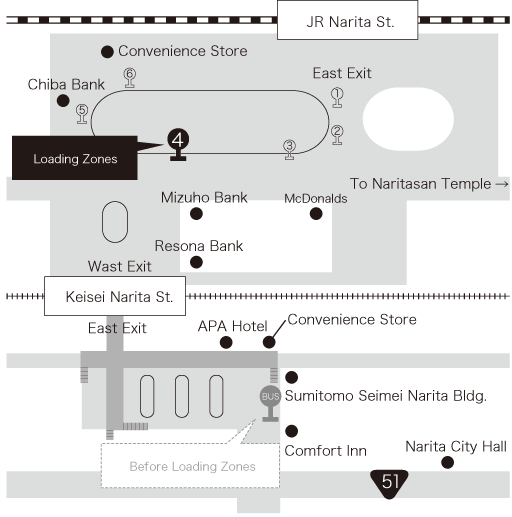 Narita Airport and transport to Tokyo make for both easy business and sightseeing. 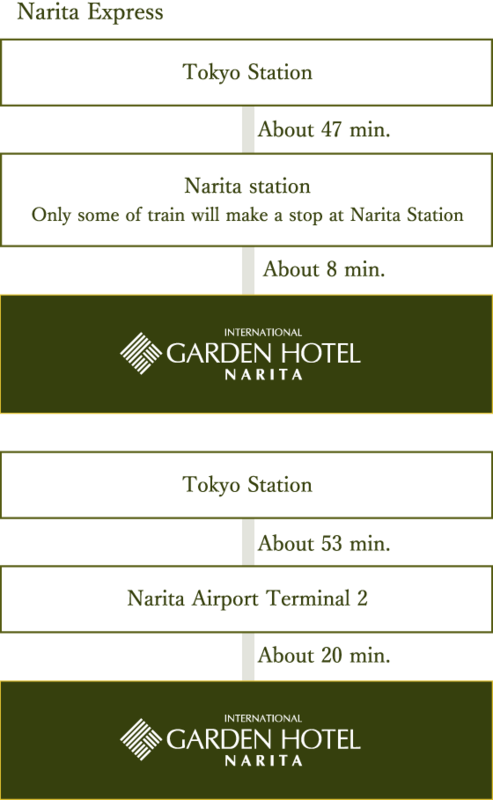 Narita train station and local shopping areas. 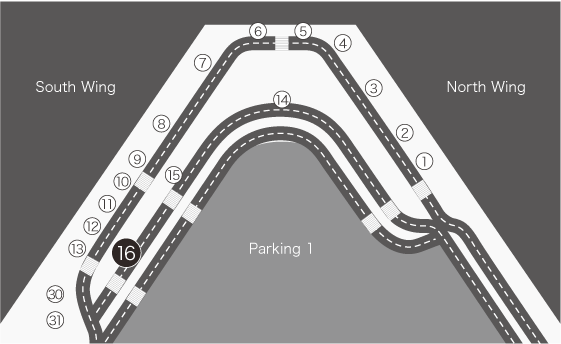 1.Exit at Narita Interchange and take left road. 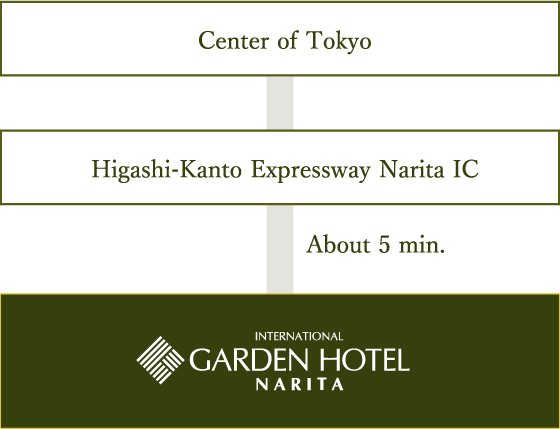 5.Go ahead about about 420m, International Garden Hotel Narita is on your right. 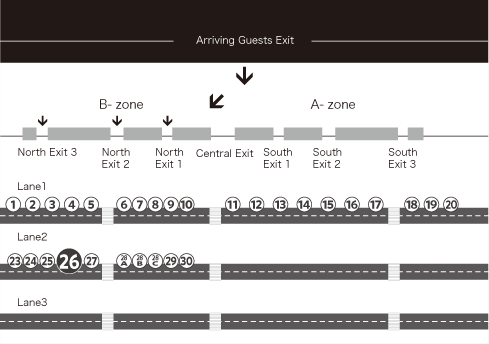 Please note that for guests staying overnight a 300 yen per day parking fee will apply. Restaurant and Banquet Hall guests can enjoy free parking for the first 5 hours after which a 300 yen per day fee will apply. direct to Terminal 2 and1. ※Shuttle Bus to / from Airport runs via Hilton Narita. 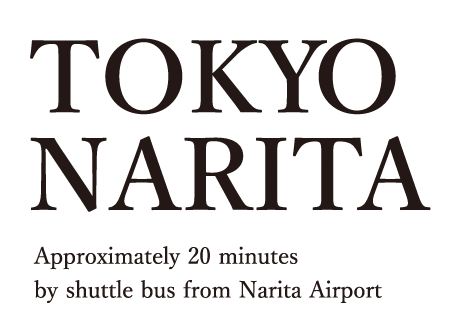 ※Please note that, due to the capacity of the bus, the group tour guests may not be able to go on the bus. 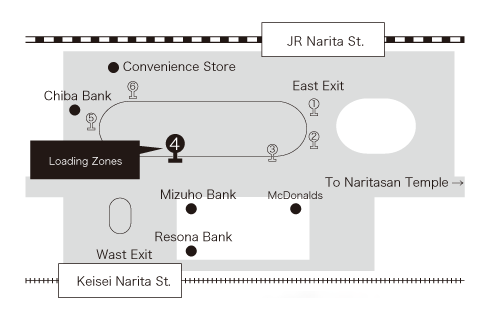 ※The bus will depart from in front of Sports Authority at 1st floor, Aeon Mall, and the bus stop may change without any notice. 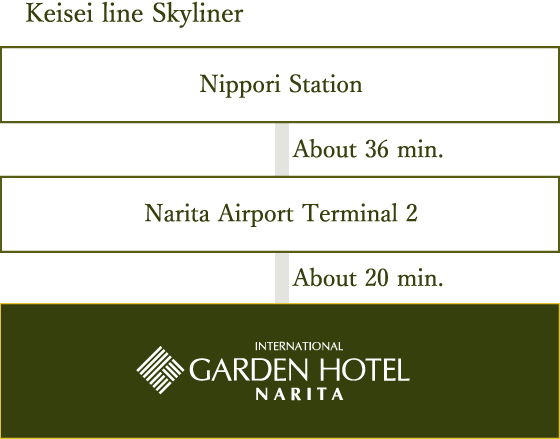 ※○ sign indicates Shuttle Bus to AEON Shopping Mall runs via JR Narta Station. 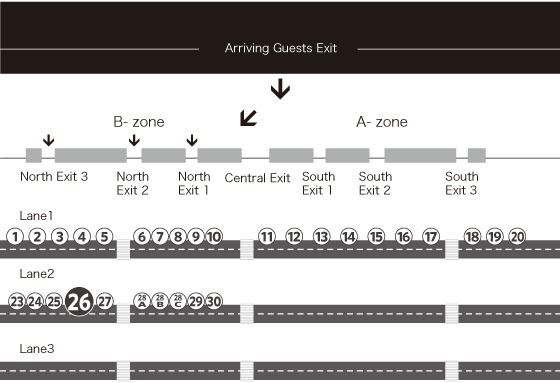 ※△ sign indicates Shuttle Bus runs via AEON Shopping Mall.